Download "YMCA Youth Football Program 5 6 year olds Flag Football Rules"
3 c. Flag I teams will not punt the ball. Following the 5 th offensive down the ball is turned over for a new series at the twenty (20) yard line of the other team. d. For Flag II, 30 yard simulated kick. 13. Ending a Half: If there is a live ball or dead ball foul by either team during the last play of the half, the penalty will be administered at the end of the 1 st half. Any such foul committed after the half has ended will be administered at the start of the 2 nd half. 14. Ball Ready for Play and Delay: The ball is ready for play when the referee gives the ready-for-play signal and whistle. The offensive team has 30 seconds to snap or free kick the ball. Penalty for delay of game is 5 yards. 15. Substitutions: Free substitution will be used as long as every child is getting to play minimum half the game (must be labeled a starter). Any substitution entering the game must participate in at least on play before leaving the game, and must stay out one play before reentering. The penalty for a team not playing every player at least half the game may include forfeiture of the game. 16. Forfeiture of Game: The following offences will result in forfeiture of the game by the offending team. The score of a forfeited game shall be 6 0. e. The playing of a child not on the official team roster and meeting eligibility requirement set forth in rule #2. f. Any violation of practice procedures will result in forfeiture. g. Failure of a team to have at least six (6) players in eight man flag football within ten (10) minutes after the scheduled game time. 17. After a huddle or a shift, all players of the offensive team shall come to an absolute stop and shall remain stationary simultaneously without movement of hands, feet, head or body for at least one second before the snap. The exception is an end or back, which may be put in motion. 18. Penalties: Five (5) yards for a minor infraction and ten (10) yards for a major infraction, including unsportsmanlike conduct. 19. Tripping shall not be allowed. Tripping is the use of the lower leg or foot to obstruct any opponent below his knee. A penalty of ten (10) yards will be assessed. 20. Clipping is an illegal block in which a player hits an opponent from behind, typically at leg level. Clipping is a ten (10) yard penalty. 21. Blocking: Blocking will be legal only with the shoulder and forearm, with the blocker s hand tucked in, in contact with his/her body. No cross body blocks are allowed, and blocking is only legal near the line of scrimmage. Down field (away from scrimmage) only screen blocking is allowed, no contact. 4 22. offense: No stiff-arming is allowed. The flag cannot be protected in any manner by any part of the body. Flags cannot be wrapped around or tucked under player s belts. In above cases, the offense is assessed a ten (10) yard penalty from the point of infraction and repeats the down. All shirts must be tucked in. h. Ball Carriers: Only ends and backs may advance or receive the ball. The offensive center, the guards and the tackles are not legal ball carriers. i. First downs: No first downs shall be made (except through penalty). A team on offense has five (5) downs to score or (for Fag II) punt the ball. In the event that no score or punt is made, the ball shall go to the opposite team. 23. Defense: Tackling is not permitted. The first violation shall result in a ten (10) yard penalty and a warning. A second tackling infraction shall result in a ten (10) yard penalty and the ejection of the offending player. j. A player downed by a defensive player securing his/her flag or by his knee touching the ground. In a case of the flag falling off the ball carrier, he will be down where the flag falls off. Any receiver who loses his flags before making a catch will be considered down at the point of the catch. k. Once the offensive team takes its place on the line of scrimmage the defensive coach is required to stand at least five (5) yards behind the defensive player furthest from the line of scrimmage. Coaches are not allowed to physically move or guide players into position once the ball is in play. The only way to shift or move a player is through verbal communication and/or signals. (4 and 5 yr olds 2 coaches on field at a time / 6 and 7 yr olds 1 coach on field at a time) 24. Example: A coach cannot hold his safety awaiting the snap of the ball and then push or guide him in the direction of the play; a coach cannot physically realign his players based on the offensive team formation unless done through some type of verbal code/key or hand signal. 25. A ten (10) yard unsportsmanlike conduct penalty will be assessed against any team/coach for violation of this rule Unsportsmanlike Conduct: Any of the following offenses will result in a ten (10) yard penalty. l. Any offensive player not going to the huddle between downs. m. Any player leaving the field between downs to gain an advantage unless being replaced. 5 n. Intentionally kicking the ball, spiking the ball into the ground, throwing it high in the air or from the field of play, failing to place the ball on the ground or return the ball to an official. o. Any profanity by a player, coach or parent will result in immediate ejection from the game. p. Unsportsmanlike conduct that is directed to the opposing team and/or official by a player, coach or parent will result in immediate ejection from the game. 27. All unsportsmanlike conduct calls are FINAL and cannot be appealed. 28. Tie Breaker: Each team has four plays to score from the fifteen (15) yard line plus an extra point attempt. If the score remains tied, the procedure is repeated from the five (5) yard line. If the score remains tied after the second set of downs, the game is a tie. 29. Mercy Rule: In the fourth quarter of any game, if one team is winning by more than 20 points, the clock shall run without stopping until time has expired the gap in the score becomes 20 points or less. No team will be able to stop this running clock with a time out. 30. Turnovers: Fumbles are dead at the point the ball falls. Interceptions can be returned, and remain live until the runner is downed. The player will be downed at spot of the interception if the player is without flags prior to the catch. 31. Beginning in 2012, the trick play that involves the center holding the ball following the snap will no longer be allowed. On the QB s cadence (be it vocal, touch or silent) the ball must be snapped. Holding the ball will result in a five (5) yard penalty and loss of down. ****Any practice that takes place prior to the start of the season is considered against the rules and may result in a one (1) game suspension for the head coach or forfeiture of the practicing teams first regular season game. The YMCA has this rule in place due to the fact rosters are not available and therefore some of the new players that sign up may not know of team practices. If any type of practice is held, it must be offered to all students that fall within the age group of the team holding practices. Any players that participate in these practices prior to signing up for the YMCA Youth Sports Football Program will not be covered under the YMCA s insurance policy. In the event that an uninsured player is injured, all costs will fall on the parent, coach and possibly the school, recreation center etc, which the injury occurred. 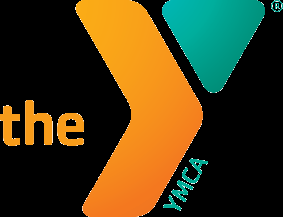 Special Note: YMCA participants may not belong to or participate with any other youth or junior high program. 6 All protests are to be logged in writing and submitted to the Sports Director or the YMCA office by noon on the next business day following the game in question. Only the coach can make protest. All accidents are to be reported to the Sports Director or the YMCA office with 24 hours of the injury. All accidents must be reported on an accident form provided by the YMCA.